If we were starting over with school and community sports, I don’t think basketball would be a school sport. It is a bit of a round peg in a square hole. And this is not easy for me to say, as someone who first coached a team in 1987 and has been involved ever since including some time as President of BC High School Boys Basketball. The most recent impetus for this post comes from the response I received to a recent post I wrote – Some Different Ideas to Increase School Sports Participation. I had more emails, texts and in-person commentary on this post than any in recent years. And the post came out just as high schools across the province were selecting basketball teams, so that likely led to the basketball-heavy feedback. So, let’s start with the question why are some sports school sports, some community sports, and some both? The most obvious answer is that because they have always been this way. And what sports fall into what categories in different provinces (or more broadly across North America) is not the same. And increasingly most former school sports are at least as popular in the community. Another good answer on which sports fall into which category is based on who owns the facilities. Schools in British Columbia have gyms – so gym sports are often school sports. Schools in British Columbia do not have ice rinks or pools, so ice and water sports are often community sports. This is quite simple, but I want to come back to the title – the problem with basketball. Basketball popularity has been booming in Canada. It is 3rd behind hockey and soccer in participation for 3 to 17 year-olds. Young boys and girls start playing basketball starting about 5 years of age. By the time they are 12 or 13 there are various club program, travel teams and other opportunities to play basketball. When students show up in grade 8, in some schools several dozen boys or girls will have played a number of years of community basketball – often on teams described as “Elite” or “Rep” or otherwise denoted with some special status. And these players will show up at tryouts – sometimes more than 100 in the gym, and 15 will make the team and 85 will be told they are not on the team. And even that team of 15 is really big. Only 5 players play at a time in basketball, so 2/3 of the team will always be off the court. And the coach of the grade 8 team, is now often an older student or a parent or well-meaning community member sometimes without deep training or experience. Basketball is a great game but just imagine the ongoing tension of a sport where 100 kids want to play, 15 make the team, 5 play at a time, and really often only 2 or 3 regularly touch the ball. And the coach has limited skills and experience. Well is this really different from the way it has always been? I would say yes. What is different is that kids are playing a lot of basketball at a young age. In the past when kids showed up at grade 8, if you didn’t make the team, it was not as though you had ever invested any time in the sport, now you have. You may have played 7 or 8 years and are not making the team. This is a huge shift. When I showed up for tryouts in grade 8, yes a lot of boys did not make the team – but most of them had barely been exposed to basketball – they had not quit other activities to focus on basketball, and really, they didn’t actually play basketball so not making the basketball team was no big deal. Basketball was not the 3rd most popular sport in Canada then so didn’t need the infrastructure to support it. And schools values have changed? Again, I would say yes. I know people worry we don’t have competition for young people anymore and they have to learn to deal with failure. But we also know that students being connected to their school is a really positive thing – whether it be a club or a team. And the thing about high school basketball is, if you get cut, it is not like community sports where you go to the next tier down, you stop playing. There are not many places in school this happens. Yes, the school musical has an audition – but almost all the kids who want to be involved usually get a small role or help as part of the crew. Yes, student council has elections, but they non-elected executive are usually still part of the larger council. Yes, some classes have criteria – but if you don’t get into Honours Chemistry, you still get into Chemistry, you are not shut-out completely. Yes, other teams have tryouts – but actually most sports are very inclusive and can take everyone. Whether it is swimming, track, cross-country, wrestling or football, these sports find places for almost everyone who is interested. Volleyball would be in the same place at basketball on this issue. Other than basketball and a few other sports – name other experiences in high school that if you want to do X and you don’t qualify for the top tier you are completely shut out from X? I think the list is very short. And before you use “but Michael Jordan got cut from his high school team and he turned out just fine” story, that is only partly accurate. As a grade 10 he didn’t make the Senior Team but he did play Junior Varsity that year. I think the Michael Jordan got cut story, actually helps make the point for a different system. Our system which narrows the number of participants is also doing so just as many are starting to grow. Some grade 8’s will be 12 inches taller before they stop growing. Basketball Should Be Like Soccer. If basketball was structured as primarily a community based sport with different tiers and where when you signed-up you knew you would get to play, it would be so much better. Community organizations could ensure coaches were certified and adopt a common philosophy. And you could still have elite programs as soccer does. And you could still have school programs as soccer does. I was struck by the disappointment and anguish from parents in the responses to my post on school sports. And it is something I see every year as a parent and coach. Kids love basketball. But schools have limited resources – with gyms and coaches. Schools are not the answer to provide 5 teams for grade 8s, this should be done by the community. The problem is we are trying to fix a plane that is already in the air. Club programs have come in to supplement and at times compete with high school programs. These programs are a mix of non-profit and for-profit ventures with limited oversight. Parents are left to shop around blindly for opportunities for their children and too often kids don’t make a grade 8 basketball team and their basketball career is over. We are going from hundreds of grade 7s playing in the community and the numbers dramatically dropping in grade 8 as there are scarcity of spots on high school teams. 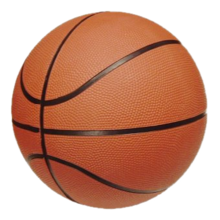 If I had a magic wand – basketball would be a primarily community based sport. The programs offered would be non-profit, with all coaches requiring certification. There would be paid coaches heading up coaching staffs of well trained parents and other community volunteers. Teams would have a maximum of 10 players. At younger ages the kids would play 3×3 to maximize touches on the ball and this would transition to 5×5 by upper elementary school. There would be tiers, maybe based on age and gender, maybe not. And yes school basketball would still exist as there is something about school sports that is special. But there would always be a place in the community for those wanting to play basketball. And there would be a universal facility / field sharing arrangements between all schools and local communities so communities could easily get into the gyms, and schools could easily access the fields. If we started over, the primary focus of school sports would be those which are largely fully inclusive – if you want to participate you can. The focus of community sports would be these team sports that allow for tiers and levels that keep all interested young people involved. Knowing this is not possible, we continue to muddle forward, with basketball – the fastest growing game in Canada with a development and participation structure that is really quite a mess. Of course, maybe I am wrong. Love to hear what you think. Thank you for sharing your insights, your passion for sports clear. I suspect basketball is not the only sport suffering from a messy development process. I agree, schools should not be expected to run 5 teams at every grade level for every sport. Is bringing back inter murals an option (not a complete solution by any means) or are resources also scarce for this model? Given the content in your post, I suspect this is dancing around edges of a ‘wicked problem’. Starting again – maybe land the plane, do not renovate, do not even use a bolt from it; rather build a new model from scratch; bring everyone to the design table. I do think a robust intramural program might be part of the answer. We have seen some post-secondaries move away from competitive sports to invest in more of this (I do have some issues with this – I think we need both). There are absolutely a number of issues at play here – with so many competing interests. “the primary focus of school sports would be those which are largely fully inclusive – if you want to participate you can.” I’m also with you Susan, in this exciting, transformative time in Education, let’s look at a new model – and while at it, let’s consider other channels through which we can help instil the love (and competencies) for life long physical activity that go beyond the traditional sport centric approach (again, many are doing this – think nature-based learning, school gardens, hiking clubs, etc.). In BC and beyond there is a lot of really great work to build on – including a longtime interest and need to revisit our approach to PE (but let’s save that for another post). Yes – I am sure there is a good post about PE in the future (some interesting work coming out from the revised curriculum). And while I would like to see a greater emphasis on lifelong health activities – there needs to be room in our schools and communities for these and our more traditional team sports. No simple answers. Except community sports are being overtaken by sports entrepreneurs and forcing parents to overpay and giving everyone false expectations of ability. Today’s parents happily pay more and more for this snake oil. Yes, absolutely part of the challenge is that the community sports model we admire is also facing some serious competition. While I think some of the competition is making community sports better (I see some of this in soccer), the lack of regulation creates such a challenging marketplace to navigate. Are there any team sports out there we can admire right now for their model that allows for both maximum participation and development? Except elite soccer coach hold their top prospects hostage (starting well before their teens) by not allowing them to train in other sports. They will say not not true but we all know their coaches hold strong to this belief. We know that multiple sports athletes are stronger, more versatile and less prone to injury. Yes, I actually have a multi-sport athlete post drafted up with particular attention to the hypocrisy of some coaches (I have a lot of first-had stories from soccer) who say they believe in multi-sport athletes but what they are really saying is you can maybe do other things as long as you never miss any of my thing. It is politically incorrect to be opposed to multi-sport systems but the deviations some have created are brutal! I appreciate your post, observations and perspective. Great place to start a conversation about not only basketball, but youth sport and youth activities in general. Overall, I feel the system has tremendous potential for our youth. However, it is badly broken. The focus is lost. And adults, coaches, parents, administration, spectators etc all carry the blame. All adults provide some level of lip service to sportsmanship, however most practise and many teach gamesmanship. The difference is is like night and day. As a society we are pushing and supporting the “best” while largely ignoring the rest. At what age is it ok to tell a child that their best is not good enough and they can no longer play a game with their friends? In my opinion the answer is never. But it happens all the time. Kids generally would not care who wins and who loses until adults make a big deal about it. Then it becomes a big deal to children. They learn about gamesmanship (cheating) from coaches and other adults. It happens all the time in gymnasiums, arenas and sports fields across the country. The system in place now breads elitism and arrogance and contributes to disenfranchisement, exclusion and depression. Our society has the facilities and expertise to deliver youth activities in and manner that focuses on the needs and desires of the youth, not the missguded trophy, championship seeking desire of adults. The time to “change the game” is over due. It is time to “let them play”. I agree let them play! But as long as we have lawnmower parents and parents who think their young athlete will be the next all star professional athlete, we, who coach for the love of the game and increased physical literacy, will be stuck with a broken system. At the Grade 8 level, in Abbotsford, we play even playing time for 3 quarters and the 4th quarter we play a stronger line up. Could this go into the Junior and Senior levels as well? Furthermore, could we establish A, B, and C level teams within the 4 tier structure, and then allow these teams to compete for a playoff berth? I do like the influence that teachers have on student athletes, and also appreciate the effect coaching has had in my classrooms. Thanks for your article. It is certainly food for thought. Hi Carrie – The grade 8 rule in Abbotsford is a good one – and used in other districts as well. It should be universal. It addressses the related challenge of coaches wrongly focusing only on winning at grade 8 – and yes, I argue the rule should be continued through grade 10 – at least for the first half of games. I also agree that creating a better competitive balance in leagues would be good for the game – we get some of this at senior – but we really need it at younger ages as well. There are too many blowout games in high school. And yes, it is amazingly powerful the role school sports can play on school culture and also on individuals growing as leaders in their school. I don’t want high school basketball to go away – it has been so much of my life for over thirty years – just wish there was a better model that got more kids playing like we see with so many community sports. HI Chris, Really enjoyed reading your post. 100% bang on. Also agree that there is too much duplication with school sports and community sports, eg. bb, vb, rugby, soccer, etc. Resources (human, financial, facilities) are scarce in both systems so difficult to support both. Really like your suggestions as well for developing basketball. Overall, I think we’ve lost the reason/purpose of why school sports exists. IT’s now focused on banners and championships as opposed to teaching kids values of cooperation, hard work, respect, commitment, teamwork, etc. Plus the chase for provincial championships now drops to grade 8. Before the ultimate provincial championship was at the senior level. We worked for that goal from Gr 8 on, hoping to achieve that one day. Because of this, there isn’t much focus on skill development. Instead it’s about winning. I also like your example of # of kids able to play HS basketball. I had similar stories with my ADs in Surrey. Almost every HS had at least 5 feeder schools with some as many as 7, each with elementary bb teams composed of at least 10-15 players all hoping to play in GR 8. Sure wish we could work with the community to provide the basketball experience for EVERY student that wants to play. Thanks Glenn. I definitely don’t want it lost that basketball is incredibly popular in Canada now, and its popularity is growing – we don’t just need a new model for sports but actually a system for basketball so more can play. There has to be a way to build on all the excitement and interest coming out of elementary aged students to keep them playing somewhere in grade 8. And yes, I think we have lost something in the values of the game. This of course is another huge topic – and is related to more non-teacher coaches, the influence of club sports culture on school sports, early specialization among other challenges. I agree with about 99% of your blog posts, in a World where you could start out again, lots of these ideas would work. In the World we live in, clubs are a big business and don’t let anyone say otherwise, (unless they are a non-profit (RBL etc…) I know some club people if they read this will push back, my reply? If the club your son or daughter is playing for, owners don’t have another job then they are making a lot of money off you and your children and will tell you anything you want to hear. High school sports, theoretically takes the best players in each grade, or in case of the younger players, ones who have the most potential to develop. Unfortunately with many volunteer community coaches, they don’t take the long-term development kids as they might only be there for the year and think they must win a grade 8 Provincial championship. I have to remind everyone gr 8,9 and JR are not Provincial championships!!!!!! The only recognized BCSS championship is at the Varsity level. All the others are just invitational tourney’s at the end of the year which you, yourself could host a competing tourney and call it a Provincials. I have watched the downfall of Physical Education in my school district for many years. It is to the point where sometimes I ask if this is even worth being a class. Unfortunately the minimal effort and physical activity being exerted by many of the kids is the only such they will get in a day. I can’t speak for other school districts, but in mine, I venture in to different schools and see different approaches. I see a lot of kids these days more than the past being too cool for PE, kids not wearing strip, kids not participating, kids wandering around with hall passes. It seems to be on a rapid decline in the last 3/4 years. I don’t believe skills and the games are being taught in the classroom at any sort of level to help the kids that didn’t make the teams develop, which force kids to pay for clubs that will tell them they should be on the school team. I come from a background and philosophy where competition still matters. It should mean something to compete with your classmates to represent your community. This also unfortunately is being diluted year after year with so many kids playing outside of their catchments and transfers. The teams currently tied for number 1 in Howard Tsumura’s ranking are filled with such kids. This is where the problem with clubs really comes in, in my mind. One school is already fed with an established youth club program and still brings in Vancouver kids, New Westminster kids and now they even took one of Surrey’s better young kids. Those that are willing to align with a club program (coach, gym rentals, send their players) are now developing a recruiting pipeline to their school, whether intended by the club or not. I would be all for limiting the number of grade 8 games and having each school have 3 seperate teams of 10 play 12 games each and having no playoffs. This simply comes down to logistics. It is insane to me that in 2018/2019 we are still building schools with only one large gym and sa half court auxiliary gym. How much more can an extra 25 foot pre-fab wall and flooring cost? $100,000? You would be able to play double the games right after school and rent one out at night to make up the cost. The soccer model in many parts of BC is so corrupt it is hard to convince me we should follow anything that they do. Just one example. Perhaps the biggest problem facing basketball in BC in my opinion is expectations. For anyone who actually knows, whether they will admit it, BC is at such a low level. We are not Ontario or Quebec, we are not the ones pumping out a dozen / fifteen NCAA D1 players a year. We get lumped in as “Canada basketball” but realistically we have one or two “elite” players a year who have a shot at playing in the states. We then have ten to fifteen Usport players a year, depending on the year. After that we have another 15-20 CCAA players a year. So in a good year we have maybe 40 kids out of this Province playing post-secondary, which many don’t last more than a year. Keep in mind the top clubs train 100’s of kids a year. Tired coach knows his/her stuff. High school basketball is integral to any sports program. And what about all the kids who could not possibly afford community sports? Isn’t the job of public schools provide opportunities such as quality-coached basketball? Yes Margot – I agree that high school basketball is amazing. I see the wonderful experiences my kids are having, and the the experiences I had as a player and later coach, and it is something that helps build the school culture. I just wonder about all the other kids who want to play basketball – how do we build structures for them. It is such a popular sport- and still growing. As for fees – I have found they are very similar in school and community. My kids fees to play school basketball have been between $150-$350. For their community fees they have been between $0 – $500 a season. I do think we need to find ways in schools and community so finances are not a barrier to sporting opportunities. And it is an interesting question if it is the job of public school to provide quality coached basketball teams. I know the stress our athletic directors face recruiting staff and community volunteer to coach the teams. It is a small gesture, but the district picks up the cost of any coaches wanting to get certified so their have greater skills – but I think one of the challenges of basketball is how recently it has grown in popularity. With soccer and hockey many people grew up playing it and are natural coaches as parents, or teachers or adult community members. Not so with basketball. Its growth has been huge in the last 20 years in Canada. So we don’t have generations of older players to be our coaches. A very big topic. I love the good conversations and discussions on the topic. Thanks for joining in! Coached high school basketball for a good number of years and made cuts just as you described. I think I have been persuaded of your perspective. One other consideration that supports your point of view is that students participate in a user pay manner. If you live in the lower mainland, costs to play and travel become significant. If you live outside the lower mainland, costs to play and travel are ridiculous for competitive teams. Kids are paying significant sums of money to represent their school in other communities. Time for Community Club basketball…. Yes Cyril. This is a good addition to the conversation. Judging from some of the comments, I think there is a mistaken belief that high school basketball = free and community basketball = $. If this ever was true, is not true now. Most high school programs I know run on a cost-recovery program. I know my two kids in high school have had annual basketball fees from $150- $350. I am sure outside the lower mainland this is much more. It is a challenging issue – because I think high school basketball is awesome! I would hate to lose it, but I feel like we could be doing so much more for the growth and development of the sport. I can attest to the cost outside of the lower mainland. Our fees at KSS this year for the sr girls program are approximately $2000 and a couple years ago when I had both daughters playing it was $3600. Yes, that is for just one season of one high school sport. Now, this is ultimately because to get quality competition for some school programs requires frequent travel over large distances, hotels etc. KSS teams choose to travel a lot to the lower mainland to play against good competition. I agree with your observations of how basketball in high schools has changed over the years and I have even had some discussions with other parents about the fact that kids who have invested in their game/sport are getting left on the sidelines at high school. This is certainly a challenge at the school my kids have attended in Kelowna (KSS). Two large middle schools feeding into the largest gr 10-12 school in the province has driven parents to invest in the development of their children through extra training, club ball and community bball just to keep up and give their kids a chance to play in high school. This creates an additional equity problem, such that those with the means get a leg up to make their high school teams and those whose parents can’t make those extra investments often are the ones who get left behind. That said, I also come from the era that clubs and community programs for basketball were pretty much nonexistent particularly in more rural communities (northern BC in my case) and that is maybe where some of this theory may fall apart. Rural communities struggle more to compete with cities to support both club and community-related activities and high schools are often where the best options are for those kids to at least get to play. IF we take say basketball out of the schools, will kids in rural communities still have a place to play? Food for thought. Thanks Ross – this is a really thoughtful addition to the conversation. KSS is a great exmaple of the best and worst of the current high school basketball model all in one place. My own kids at their school have also had a similar experience in a basketball-rich large high school with many kids showing up wanting to play. I am sure the experience the students have on the teams at KSS is amazing. Their boys and girls teams are almost always among the top in the province. As you note, there are likely many more that would love to continue on with their basketball in such a large school. Your comment about community basketball in rural areas is important. I think our urban challenges are very different than the rural challenges. It is great to see how many people are interested in and thinking about this topic. I noticed McMath had a new coach and is playing well. Maybe we’ll see each other sometime during this season. I’d love to meet and chat about this, pros and cons, as a high school coach and educator myself. Coffee perhaps sometime, on me. A former PE teacher and community coach of my own children, I struggle with the privatization of community sport and the push for elite teams at such a young age and would love to see some of our governing sport bodies delay the age for “rep” or “elite” competition to allow for development at the younger levels. Like many of your readers, there are lots of suggestions to support the growth of basketball (or any other sport) and instil the values and characteristics many PE/Coaches/advocates of sport believe in (cooperation, team work, perseverance, leadership) and happy to hear of the many things being implemented across our province. Looking forward to reading your future posts and hopefully contributing to making positive changes in the areas of sport, athletics and physical education not only in my school and district but in the province as well. Thanks John for adding to the conversation. By just the number of people responding, it is clear that it is a topic that so many are passionate about, and care deeply about. Many fair points, but I have some counter-thoughts, as a passionate teacher/coach. 1)	The spirit that school teams bring to the school community is tremendous, and would be a glaring loss should schools stop offering these team sports. I run cultural exchanges with a school in Denmark that offers no school sports (it’s all done in the community) and the spirit and connection in their school suffers greatly in comparison to North American schools. 2)	We should focus on making school sports better as opposed to getting rid of them. The education system currently doesn’t put enough value on extra-curricular activities, from the top-down. Thus we do not have the resources or the motivation to run more teams or improve our programs. 3)	Community programs exist for maximum participation. Nobody needs to be completely shut out from basketball if they don’t want to be. 4)	Getting cut can be a positive thing for lifelong learning if framed correctly. Mental toughness and resiliency can be learned through these experiences. 5)	What about the experience that the kids that DO make the teams are getting in school sports? They are being coached most often by teachers that are bound to a code of conduct and have to represent something bigger then themselves. They learn to be better citizens and are able to bond with their teammates and coaches much more than in the community or club system. These are just the points from the top of my head. While I think we are still a ways away from losing these programs in our schools, I very truly believe that it will be a net-negative should it happen. Thanks Eric for adding to the discussion. I think we largely agree on much of this. I think school sports are awesome! And I do think they add a great deal to our schools – they were exceptionally important for me as a student, as a teacher and administrator and see how important they are now for my own kids. I just want to challenge some of the current structures. I wrote a recent post on just what you describe – making school sports better. I think there are a number of small things we can do to improve them. And yes, one of the great advantages of school sports is they are often coached by teachers or by those who hold the same values as teachers. I can`t be convinced that cutting 70-80 kids and taking 15 is really all that good for the 70-80 kids. As a lover of kids being active and basketball I want to find a better system that keeps them involved. Thanks Mark – I appreciate the good conversation it has created here on the blog and elsewhere. Thanks for opening up the conversation. There are some big challenges with club. Club costs are increasingly higher and higher and club is starting to take away from school sports. Kids miss school games for club tourneys or games. I love what basketball brings to the school and like being able to talk to my players on a daily basis because I teach at the school. I think there needs to be more done at an affordable level for recreational leagues within the community. Schools can be supported and run elite programs and try to supplement with intramurals. I also like the idea of running a Grade 11 team. Due to the increased level of interest and support in local high schools we now have a Grade 9 league. Would be great to have Grade 9, 10, 11 and 12 run separately. Obviously there could be the exceptions for one or two playing up, but having a league at each grade level would be helpful. In the beginning I supported my players playing club, but am unsure if I want to continue doing that if it is going to take players out of school sport. I would also argue that there is a higher level of coaching now at the Grade 8 level. Coaching knowledge has increased because of player ability level. Thanks Michael for adding to the conversation. I think the interplay of school teams, school intramural programs and community recreation leagues is a really good thought. And like you, I am very worried about the for-profit clubs and the costs associated with them. I think if there is a smart way forward with community and club programs they need to be in the non-profit framework – so they would hopefully share similar values to those we have tried to put forward in schools for so long.